Thomas de Hatfield, Bishop of Durham, carried out a detailed survey of all the possessions of the See of Durham between 1377 and 1385, listing all the people who owned land or held land in return for dues. 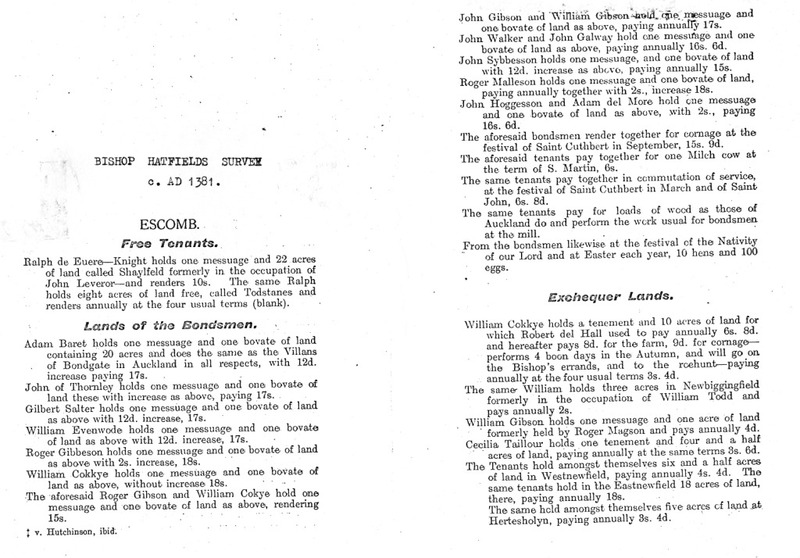 There is an extensive entry for Escomb. There was only 1 free tenant, Ralph de Eure, who held extensive lands in the area and lived in Witton Castle. 22 villagers / bondsmen are named. 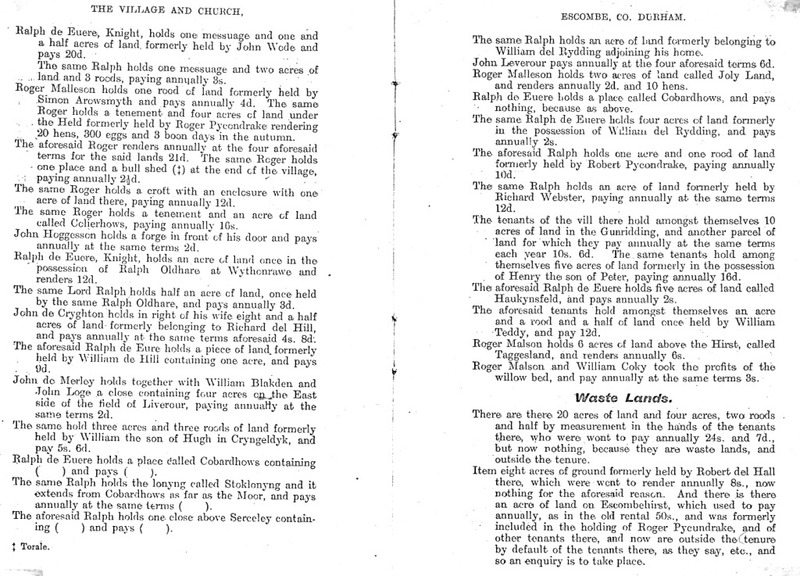 In the Bolden book 1183 there were only 13 ‘villans’ so it appears the population of the village has doubled by the late 14th century. One of the landholders was a woman called Cecilia Taillour. Most of the bondsmen each held 1 messuage ( a dwelling with outbuildings) and 1 bovate of land (20 acres). A bovate is roughly the same amount of land as an oxgang, as described in the Bolden Book. The annual rent for 1 bovate was between 15 and 18 shillings. Dues in kind were also paid, eg. hens, eggs, wood and for some ‘boon’ days each year were expected. One bondsman held a forge in front of his door and pays 2d annually. There are a variety of different spellings in the document for the same few names.